We have two forms that when used in conjunction with our Cost of Living chart can give you a beginning point in planning the financial aspect of your life in Mexico. The first form, Estimate Budget Form, asks for your total net income and creates a beginning budget – a starting point for your budgeting process. 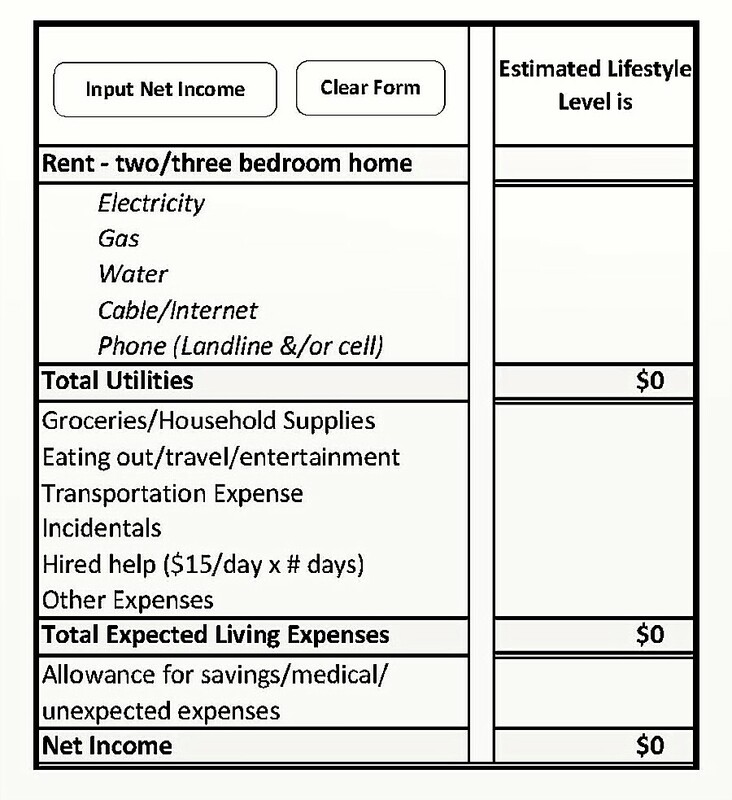 Print it out and then open the second form, the Budget Planner Form. Using the “estimated” budget as a baseline, you can use the second form to “tweak” your budget to tailor it to your priorities (i.e., you may want more house, less hired help). 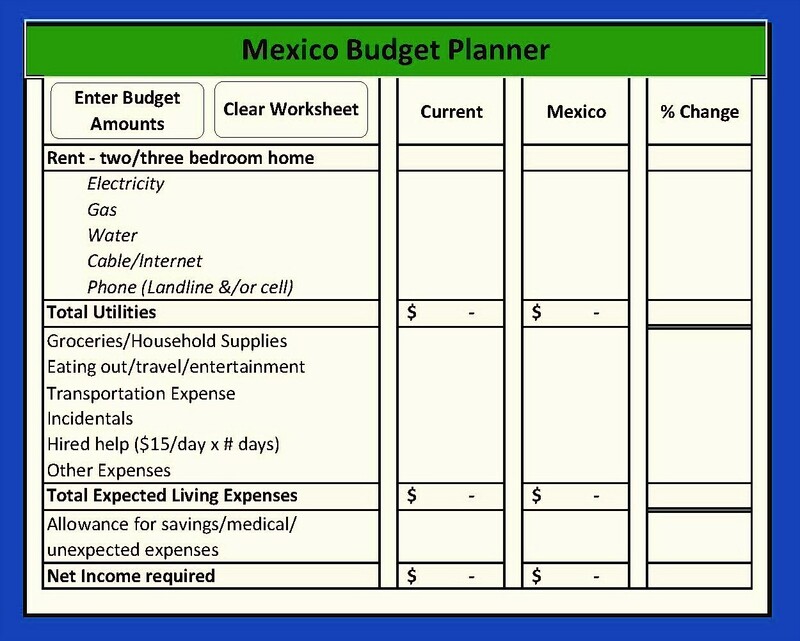 The Budget Planner form also allows you to compare your Mexico budget against your current living expenses and figures the savings percent you will be getting, if you choose the “compare it” option. You can refer to the Cost of Living charts to see how your “Lifestyle” stacks up against the other Lifestyles. You can use your grade when researching our website for places to live. We give all of our “Best Places to Live” a lifestyle grade and a spread of grades as part of the information you can use in the decision-making process. Download the budget forms now, so you can begin the first steps toward realizing your dream.